Category: Complementary Therapies Tags: amulets, auras, birthstones, Chakra, crystal healing, crystals, healing, Illustrated, meditation, reflexology. Everything you need to know about crystals – suitable as a beginner’s guide, but also as a great reference resource for the experienced practitioner. 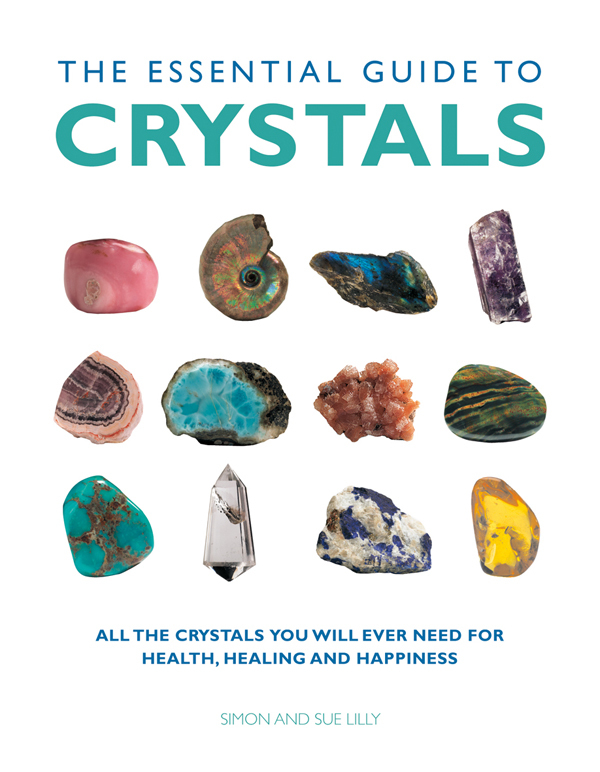 The Essential Guide to Crystals is an authoritative, superbly illustrated book that displays crystals in all their dazzling beauty and reveals every aspect of their ancient and mysterious power. It covers the many ways in which crystals can be used to heal our spirit and otherwise enhance our life. An introductory section presents a historical overview and then gives guidance on techniques such as crystal healing and meditation, the use of amulets and birthstones, and working with crystals that correspond to our auras, chakras or reflexology points. We also learn how to build up and maintain a collection. The second and main section of the book gives an in-depth profile of over 100 crystals, arranged according to colour groups. For each crystal there is a full-colour photograph, with descriptive text and reference notes on appearance, healing properties and other practical uses, as well as associated myths and legends. Key words identify each crystal so you can pick the stone to suit your needs, whether your purpose is cleansing, soothing or energizing. The Essential Guide to Crystals is the perfect gift for any crystal lover, healer or collector.